James (Jim) Sullivan is an experienced Criminal Defense Attorney. For 25 years, Jim Sullivan has successfully fought the government in Jury Trials on behalf of clients in criminal and juvenile courts. He has a proven record of defending people from all walks of life, faiths and countries in courts throughout Texas. 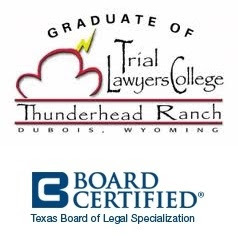 Houston Juvenile Attorney Jim Sullivan is Board Certified in Juvenile Law by the Texas Board of Legal Specialization. Juvenile law is different than criminal law. Jim Sullivan is fluent in Spanish and English, having studied Journalism, Latin American and Asian Studies at Baylor University, a nationally ranked Christian school. He graduated with honors in 1990. He then lived in Mexico City and traveled throughout Mexico prior to entering law school. In 1993, he graduated from South Texas College of Law. He and his wife Araceli have been married over 20 years and have two children. They worship at a local Catholic Church. Jim Sullivan is also an Eagle Scout.